What a fun year this is already turning out to be. We have not had any strong cold fronts so the water temperature is great and a great water temperature adds up to happy fish, happy fish makes a happy guide, a happy guide makes a happy fisherman. Well with that said, here in East Grand Bahama the inshore fishing is awesome, the fun never ends, and I am having just as much fun as my clients seeing them hook into a big bonefish or watching that first timer land their first bonefish—that is joy to me. The flats are full of life—bonefish, jacks, permit, mutton snapper and barracuda. Most of our fish in the Bahamas cannot handle cold temperature, so when the cold fronts come they will move off the flats into deeper water. I have seen some years where many fish die from the cold, but not this year—all good on the flats and the fish are behaving almost like summer is here. 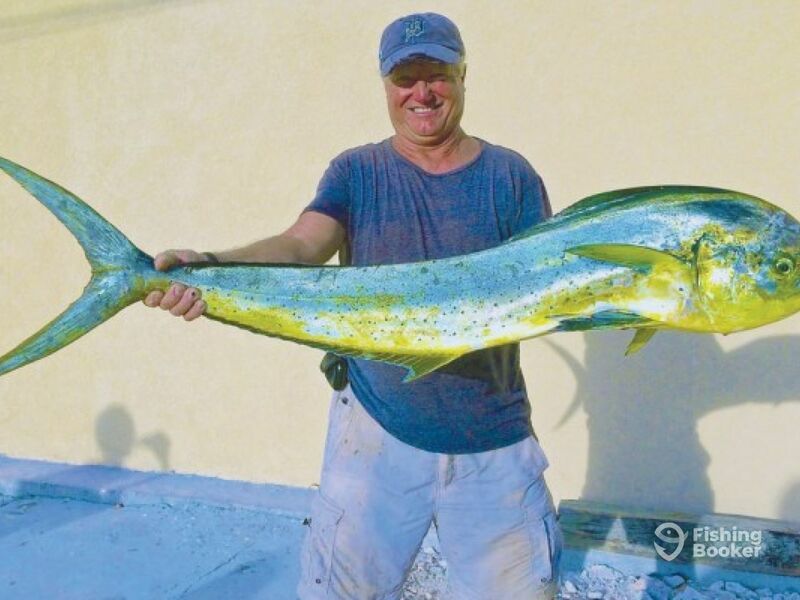 If you are planning a fishing trip, this would be a good time to come to Grand Bahama. One of the things that is important to me as a guide, and looking forward for future generations, is catch and release. There are things that you can do like not holding the fish in the gills to take a picture, not keeping the fish out of the water too long, or not fishing with the drag on the rod so loose that you wear the fish out so badly that he is almost dead by the time he gets to the boat. By remembering these little things, you can do your part to keep our fishery alive. Returning a fish back in to the water, doesn’t always mean it will live. A lot has to do with the way the fish is handled.